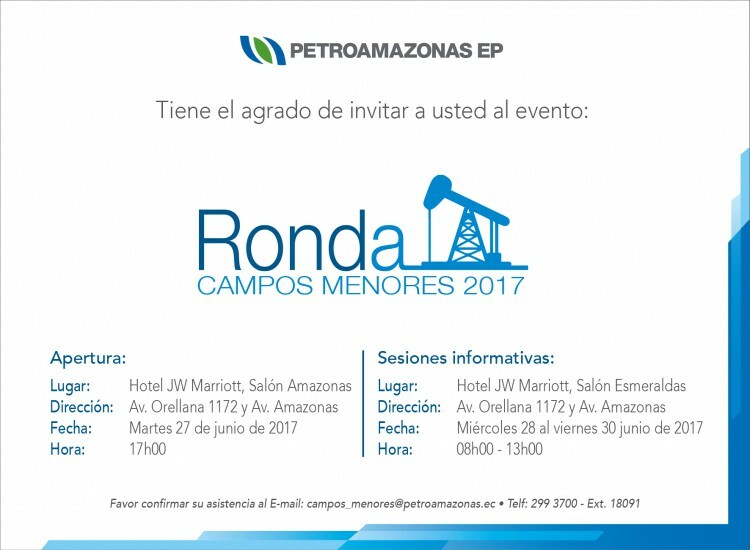 Ecuador’s state oil company, PetroAmazonas, is hosting an event to identify strategic partners and is holding a licensing round for 15 small oil blocks June 27-30 in Quito, Ecuador. According to PetroAmazonas, the 15 blocks hold an estimated 139 million bbl requiring a total investment of $1.04 billion. 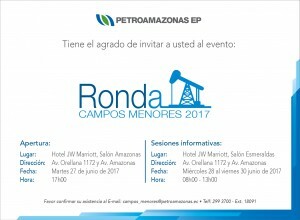 Interested companies should write campos_menores@petroamazonas.ec and copy Gabriela Villasmil at gabriela_villasmil@petroamazonas.ec to confirm attendance.